The ECtHR observed that the Italian courts had failed to comply with their obligation to give reasons for refusing to submit a preliminary question to the CJEU in order to determine whether the Euro-Mediterranean Agreement allowed the authorities to refuse to pay the allowance. Under Article 6, national courts whose decisions were not open to appeal under domestic law were required to give reasons for their refusal to refer a preliminary question on the interpretation of EU law. So, under EU law, they should say why the question was not relevant, or that the provision had already been interpreted by the CJEU, or that the correct application of EU law was so obvious as to leave no scope for reasonable doubt. Given that no appeal lay against its decisions under domestic law, the Italian Court of Cassation had been required to give reasons for its refusal to refer the question whether, in the light of the exceptions provided for in CJEU case-law, it was possible under the Euro-Mediterranean Agreement for a Tunisian worker to be deprived of a family allowance .The Court of Cassation had neither referred the case to CJEU nor gave reasons for not referring. The key to Strasbourg’s reasoning was given in  – citing Vergauwen v. Belgium, No. 4832/04, § § 89-90 , 10 April 2012 – no link available. Given Article 267(3) of the Treaty on the Functioning of the EU (TFEU), the national courts against whose decisions are not subject to domestic appeal are required to provide reasons for their refusal to refer a question to the CJEU for a preliminary ruling. They must therefore give reasons why they consider that the question is not relevant or that the provision of EU law in question has already been interpreted by the ECJ , or although the correct application of EU law is needed so obvious as to leave no room for reasonable doubt. The Court then reviewed the Italian court’s decision. It could find no reference to the request for a preliminary ruling made ​​by the applicant, and no reasons why it was thought that the issue raised did not merit being transmitted to the CJEU. The judgment does not allow anyone to determine whether this issue was considered irrelevant , or the answer was clear under EU case law, or if it was simply ignored. 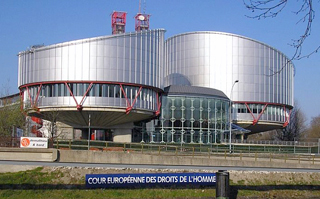 The ECtHR contrasted this with Vergauwen, in which it had found that the Belgian Constitutional Court had properly justified its refusal to refer. Nor was there any reference in the Italian Court’s judgment to any CJEU case law. Accordingly, the ECtHR concluded that there had been a violation of Article 6 § 1 of the Convention. A difference in treatment of nationals and non-nationals was readily established. The final issue was whether there was an objective and reasonable justification for that difference in treatment. The only grounds advanced were budgetary. Given that only very weighty considerations can justify a difference in treatment based exclusively on nationality, and despite the broad margin of appreciation afforded to the Government in the social security field, the Court was not convinced that there was a reasonable relationship of proportionality as Article 14 requires. Upshot: Mr Dhahbi recovered the lost allowances and €10,000 for “moral damage”. The obligation to refer a case to the CJEU under Article 267(3) only occurs when there is no appeal from the court hearing the application. Apart from the UK Supreme Court, this would include the Court of Appeal when refusing permission to appeal to it. It is pretty unlikely that our appellate courts would be unwise enough not to give some reasoning capable of justifying a decision not to refer. But, as we can see, the end of the line for an EU issue in the domestic and EU courts, may not necessarily be the end of the line if you get to Strasbourg. NOT AGAIN! “EU judges” behind “Victory for Evil”, says Sun. For an English version and a more detailed example of this case law see Ullens de Schooten and Rezabek v. Belgium 20 September 2011, Nos. 3989/07 and 38353/07 (http://hudoc.echr.coe.int/sites/eng/pages/search.aspx?i=001-108382). See especially §57-62. So the treaty agreement with Tunis gives their citizens EU member state citizens rights. Did Italy even know that such s treaty existed? What were its terms and relevance to non EU citizens? Surely Italy acted in accordance with domestic law as applied to non citizens and non EU citizens cannot rely on ECHR legislation. Is this expansion of the EU by the back door?